System being hooked up. Note the connectors below the deck where the water pipes will attach. When the container is removed, the connectors will simply be planked over, leaving a flat deck for crab pots. 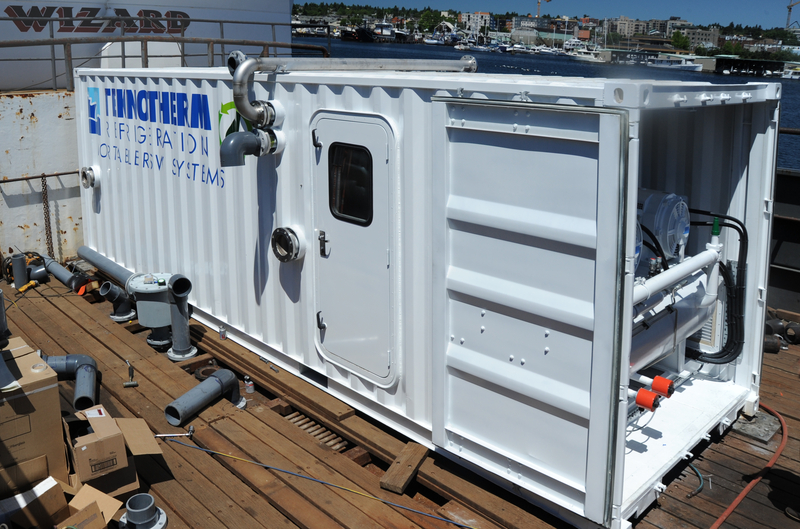 The containerized RSW system for the F/V Wizard is now aboard ship and on its way to Alaska. This is such a fascinating project that Fishermen’s News ran an article about it. 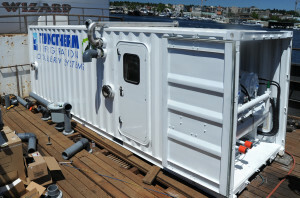 You can read it at http://www.fishermensnews.com/story/2015/07/01/features/portable-rsw-refrigeration-system-for-the-fv-wizard/338.html. 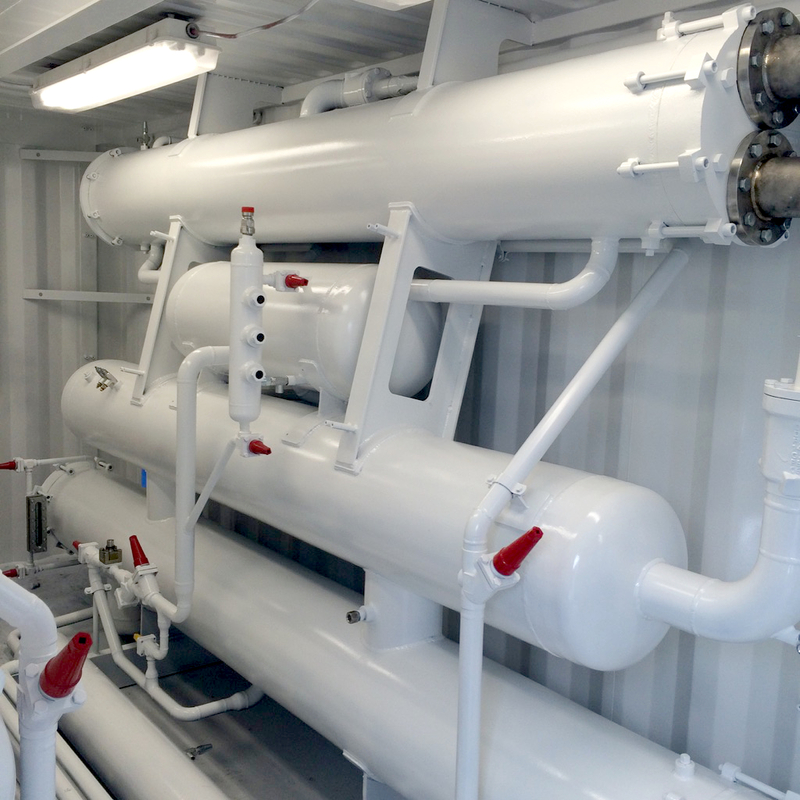 Chiller, high pressure receiver, and condenser.